Art in the garden. Just hearing that phrase brings to my mind classical statues reigning from alcoves sculpted into centuries-old hedges, or huge, abstract monoliths sitting on perfectly manicured lawns, both completely alien to my way of thinking and my way of life. But there is also garden art that is more casual, personal–eccentric, even–and yes, whimsical. I feel a lot more comfortable coming across this kind of art in a garden. I like a little something–you can’t always call it ornament–in a garden that makes you do a double-take, and then you chuckle or even laugh out loud. Or, it might not amuse you so much as reveal something about the gardener. The best garden art, of course, does both. I was reminded of all this viewing Susan of Takoma Park’s creatures of the wall. I love the serendipity of a painting mistake that led to the creation of this tropical sea wall, with each creature a souvenir from a tropical vacation. And I have to wonder if I came home with the wrong color paint, would I have used it anyway, or would I have trotted back to the store? It’s all a moot point as I have no underdeck. But it brings home the lesson that art in the garden is a very personal thing, and it should consist of objects that really speak to you, and speak of you. And then I wonder why I have no whimsy in my garden, if I like it so much. Perhaps it is because I haven’t gone on any trip I could bring souvenirs home from. Perhaps it’s because when I go shopping, it’s for underwear or socks or a new can opener to replace the one that broke. Or perhaps I’m just not listening when something speaks to me. Hmm. I wasn’t intending to get this philosophical. I read Garden Whimsy by Tovah Martin some time ago, quite possibly last winter. I recommend it to you as a pleasant way to pass a winter evening, and perhaps it will inspire you to create your own whimsy. Other whimsies: I love the frog musicians at Le Quatre Vents. When a motion sensor is activated, jazz pours forth from their instruments. I love the sculpted stone faces carved by Marcia Donohue. I couldn’t find an image on the internet, but perhaps you have seen one? There are two I am thinking of. One is a stone face seemingly one with the earth, emerging from a slope. The other is submerged in a shallow pool of water, mysterious and suggestive. 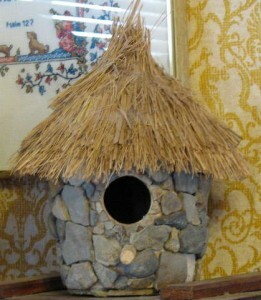 I have seen many folksy bird houses that I liked, but that has been done so much I don’t know how I could make it mine. Oh, wait! I have a birdhouse, handcrafted by my daughter with stones that her siblings found on the property and straw that was used as packing for an order of peonies. How much more personal significance could it have? But now I hesitate to put it in the garden because the straw would get ruined, so it sits behind me as I type. There are several things in my friend Bub’s garden that I really appreciate because they are such good expressions of herself. In one spot there are two rustic chairs made out of tree stumps. Upon a second look, you realize a bear cub fashioned by a local chainsaw artist is sitting in one of the chairs. A tiny tea set made of resin is spread out on a flat stone near a small pond. It is easy to imagine fairies sitting down to tea–when you’re not looking, of course. Unique, I suspect, to Bub’s garden, but most directly tied to her own interests, is an odd assemblage of pipes dangling from a tree. Scavenged by her musician son, they are remnants of a set of discarded orchestra chimes, tuned (so I am told) to a C# minor 7th chord. When hit with the rubber mallet conveniently hanging nearby, the sounds produced are reminiscent of cathedral bells. The bear and the tea set make me smile, but I admire the chimes the most because they strengthen the bond between gardener and garden. And then there is IBOY’s hardscaping. His Sun Gates are marvelous, both in looks and associations. And what about Hernia and Uboughtwhat? Besides being great names, don’t you think they express different aspects of Don’s personality? Whimsy, art, reclaimed junk–whatever you want to call it–how have you used it to make your own garden more personal and pleasurable? 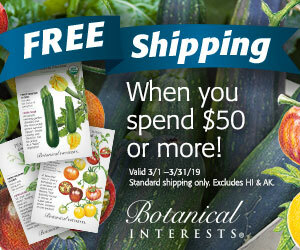 How have you seen it used in other gardens? 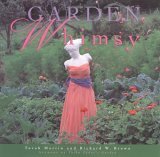 However did I miss Tovah Martin’s book on Garden Whimsy? It looks like something I need for my own library. Thanks for the lead. I love your suggestion that garden accents should “speak to you, and speak of you.” Those few words summarize what garden whimsy is all about, I think. I don’t know why, but I seem to add children’s chairs to the garden. I even have one on top of a post. No one ever seems to comment, but for me they feel right. 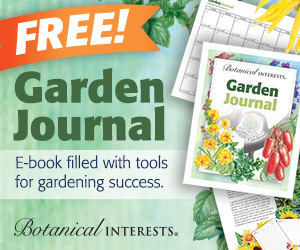 I love garden whimsy and will have to find that book. My favorite is a sled as a planter (this year it may end up as a glass-covered coffee table on the deck), old doll cradles, child’s rocking chair with a hole cut in the seat for a plant, scarecrows, planted chairs–lots of things. I am always on the lookout for unusual things that I can use in the gardens. I was so excited to see Dale Chihuly’s work at the Chicago Botanical Garden. I guess it’s “real” art, but very whimsical! I also like little sculptures and whimsy in the garden, although I haven’t done much myself. I updated the link to fix the spelling.. I love goofy stuff in gardens! I have a neighbor who made birds out of old shovels (with a lttle extra welding for legs and heads) I hang interesting metal objects on my fence. One of my favorite sights was a long fence adorned with lots of hubcaps that I saw from the Boston to Norwalk train years ago.